Ardmore Scotch Whisky Distillery was built in 1898 by William Teacher & Sons and was taken over by Allied Brewers in 1976. The distillery itself has not changed over the years and still produce the whisky as it did when it open over 110 years ago. The water source that is sometime used for this distillery is from the Knockandy Hill as it provides a high quality water for the whisky process. The distillery produces Ardmore 12 Year Old and Ardmore Cask Whisky. 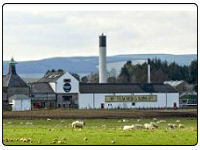 If you like to see their visitor centre their details are Ardmore Distillery, Kennethmont, Huntly, Aberdeenshire, AB54 4NH. The contact telephone number +44 (0)1464 831213. More details can be found at Ardmore Distillery website www.ardmorewhisky.com. The website is a great place to find out all the details you require for Ardmore and have some amazing photos of the surrounding area and goes into great details over the distilling process and all you need to know about the Ardmore Single Malt range.